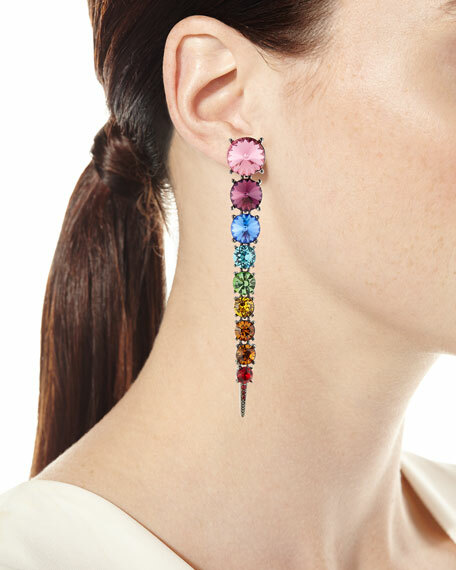 Oscar de la Renta crystal cascade rainbow tendril earrings. Polished silvertone hardware and prong settings. 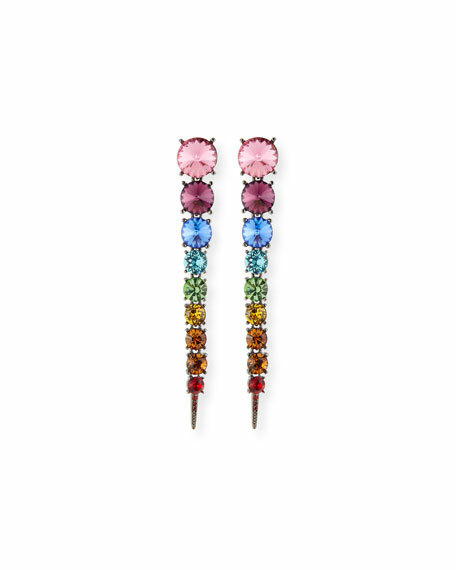 Round, multi-size rainbow Swarovski crystals.